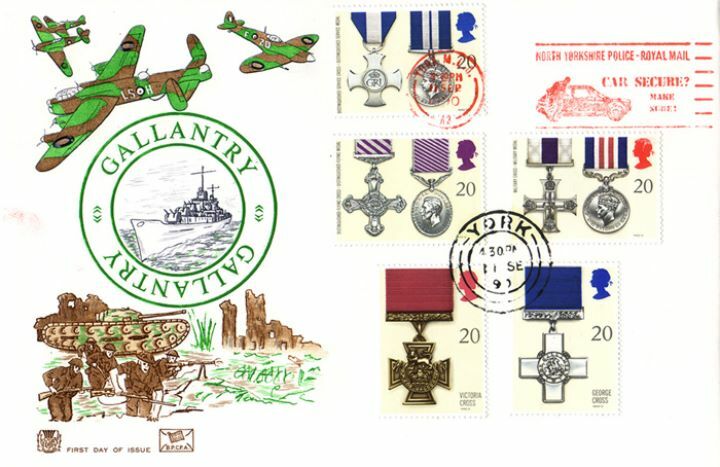 The above Royal Mail Gallantry stamps were issued on 11 September 1990 by Royal Mail and feature the following stamp designs: 20p George Cross; 20p Victoria Cross; 20p Distinguished Flying Cross and Medal; 20p Military Cross and Military Medal; 20p Distinguished Service Cross and Medal. The Gallantry on Land, Sea and Air first day cover with the York, Car Secure? 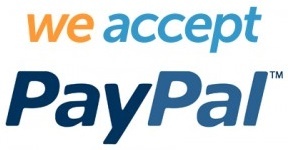 - Make Sure, Slogan Postmark postmark has been produced by Stuart and features these stamps which can make a very collectible and lovely gift.